I hope you rang in 2015 in a great way. I think this was the first year I chose to sleep rather than watch the ball drop. But I have to say, I felt great the next day. And THAT is the key to getting through a day with our active 2 and 4 year old kiddos! 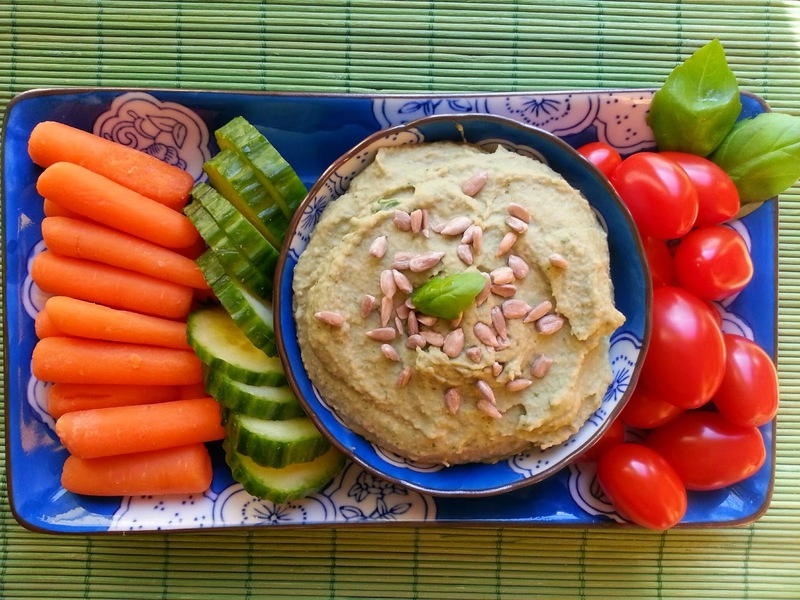 It's a very easy homemade hummus that's also sesame-free. Perfect for Little Guy who has a food allergy to sesame. 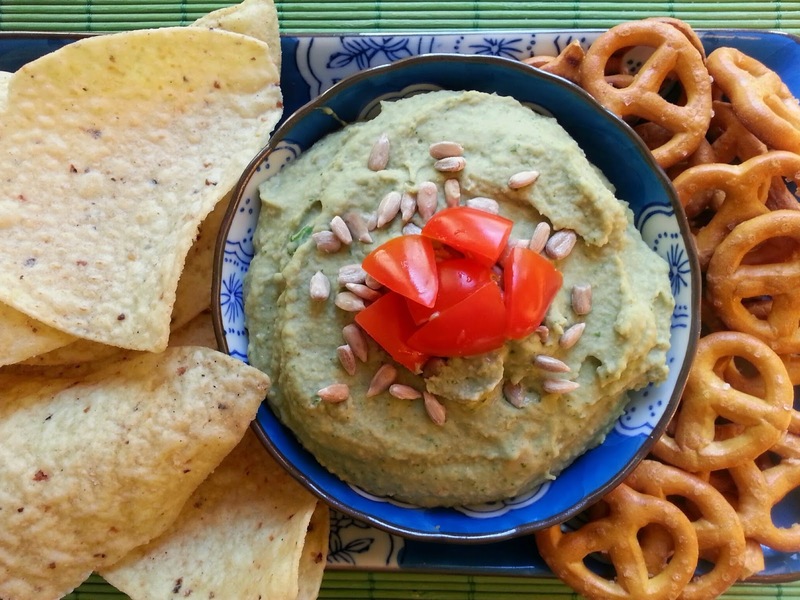 The recipe is adapted from a hummus recipe on a healthy-living and recipe website called Aloha. 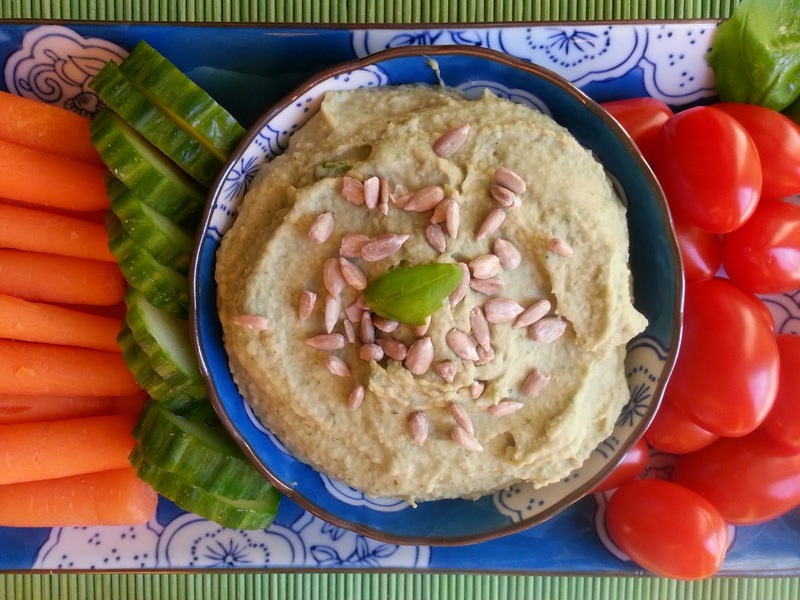 If you're looking for a fresh, delicious and easy homemade hummus recipe, this one is great! Then in a food processor or blender, blend your oil, lemon, garlic and sunflower seeds until rather smooth. And finally add the rest of your ingredients until you have a beautiful and creamy hummus. I served it with these colorful veggies: Carrots, cucumbers and cherry tomatoes. And also with some less healthy, but satisfying and salty snacks too. So how do you really know if your cooking is a success? By the reaction of your harshest critics: Your kids! 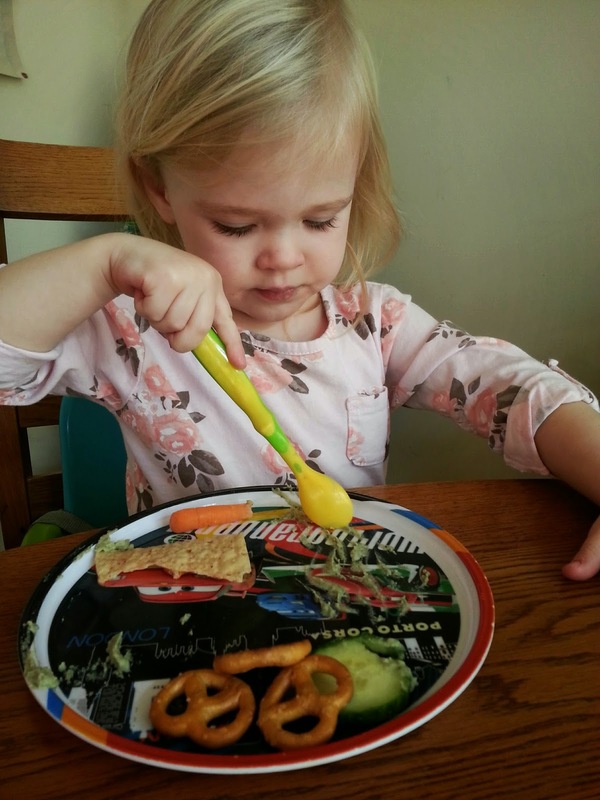 Little Gal loved this hummus and decided to eat it with a spoon - no veggie or salty snack hummus-delivery system needed! 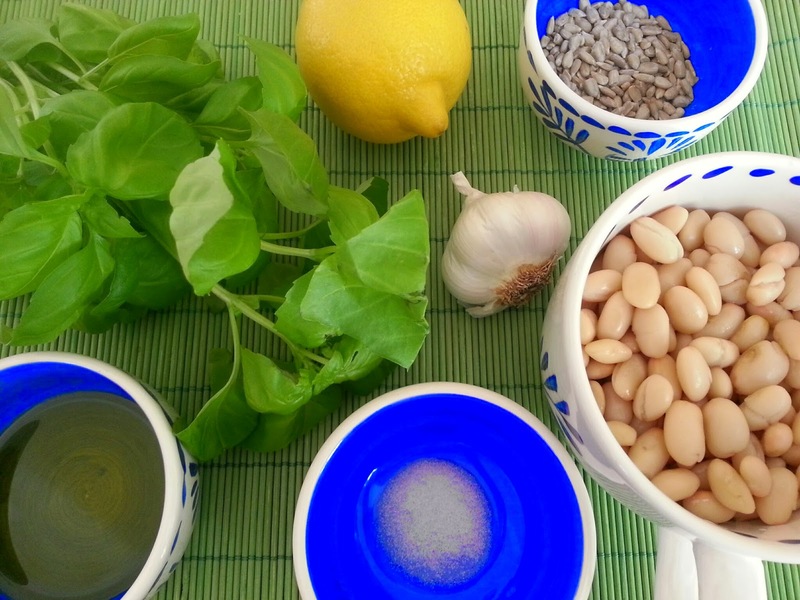 Blend the rest of your ingredients, beans, basil and salt, until you have a beautiful and creamy hummus. Top with sunflower seeds, tomatoes or pieces of freshly torn basil to make it pretty. Or eat right out of the food processor! Be sure to follow me on Twitter, Pinterest and Instagram for all the latest recipes, photos and fun! Thank you! Been needing a sesame free hummus! Happy New Year! You're welcome Bethany. Let me know how you like it. Happy New Year!